We address musculoskeletal deficits as a result of muscle, bone or joint injuries from chronic problems, arthritis, or sports/fitness injuries. Typical problems include: shoulder and knee injuries or surgeries, tendonitis, neck and back pain or foot and ankle problems. Our dedication and commitment to community outreach is very important to our mission. Helping people return to their normal occupations after work-related accidents includes a progression from range of motion and strengthening exercises to simulated workplace tasks. Once your physical therapy is formally completed, patients have the option to continue for 1-3 months in our independent clinic exercise program. This $50/month option helps to enhance your recovery. Kinesiotaping works to address patient pain, dysfunction and edema through the use of specially designed and applied taping. Used by everyone from elite athletes during competition to post-surgical patients immediately after surgery, Kinesiotaping may be able to help you reach your recovery goals. Custom orthotics are constructed to precisely match your feet and address the specific biomechanical needs that your physical therapist is able to identify. 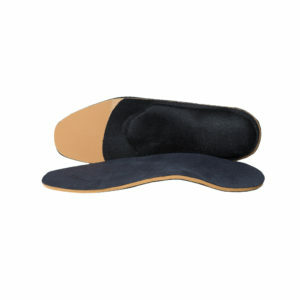 These inserts, tailored to your needs, can help to address multiple musculoskeletal issues. PT Plus+ is run by Mark Largent. Trigger Point Dry Needling, or TDN, is used to treat areas of pain and tightness around the body. Extremely thin needles are placed and manipulated in an effort to reduce pain and improve function. 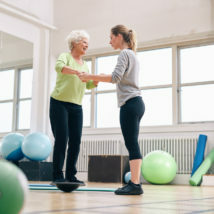 With falls being one of the leading causes of hospitalizations, addressing balance issues can help to prevent more significant issues. Specialized activities are used to aid in improving balance and vestibular function.